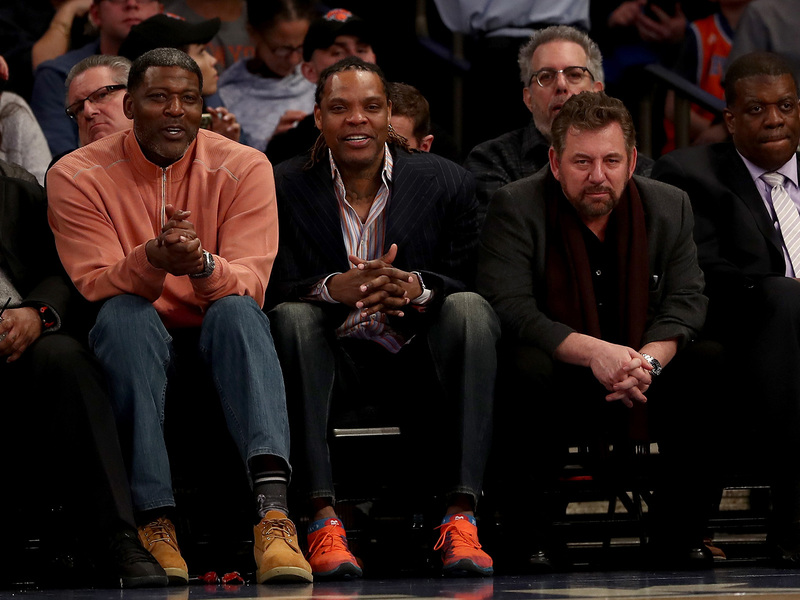 Charles Oakley and Jim Dolan could meet in a New York City courtroom. The former Knicks player filed a lawsuit with complaints that included defamation, battery and false imprisonment. 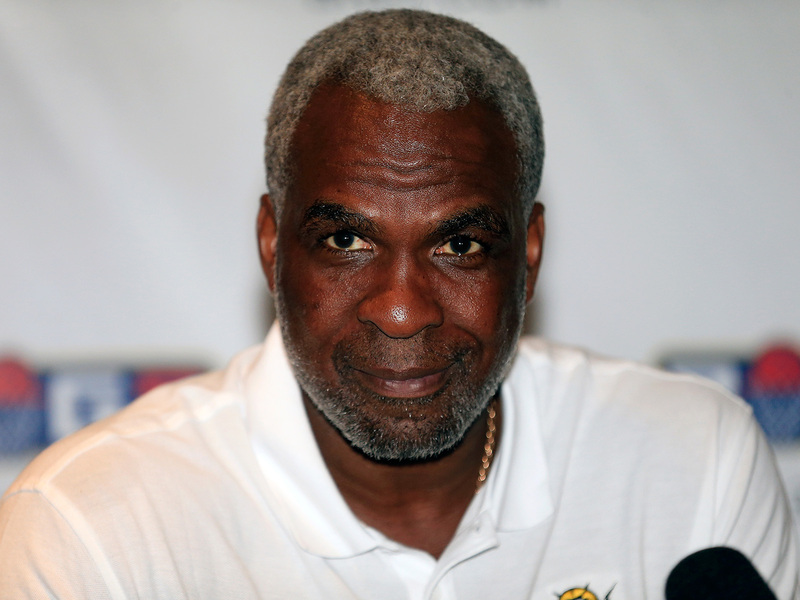 The forced removal of retired New York Knicks star Charles Oakley from a February game between the Knicks and Clippers at Madison Square Garden—and accompanying scuffle between Oakley and two MSG employees—has already led to criminal charges. It could soon bring Oakley and Knicks owner James Dolan together, face-to-face, in the same New York City courtroom. In this civil lawsuit, Oakley is represented by New York attorney Douglas Wigdor. Wigdor has secured multi-million dollar verdicts and arbitration awards on behalf of his clients. In his criminal case, Oakley is represented by Alex Spiro, who has successfully litigated on behalf of a number of high-profile athletes. Spiro, for instance, represented Utah Jazz forward Thabo Sefolosha in his case against five members of the New York Police Department. Sefolosha sued over injuries sustained while being arrested for obstruction charges that he later defeated in court. Needless to say, but Oakley has retained two skilled attorneys to represent him. Thus far, the legal process has blamed Oakley for what took place. Among those involved in the incident, only Oakley has faced criminal charges, which were for misdemeanor assault and trespass. 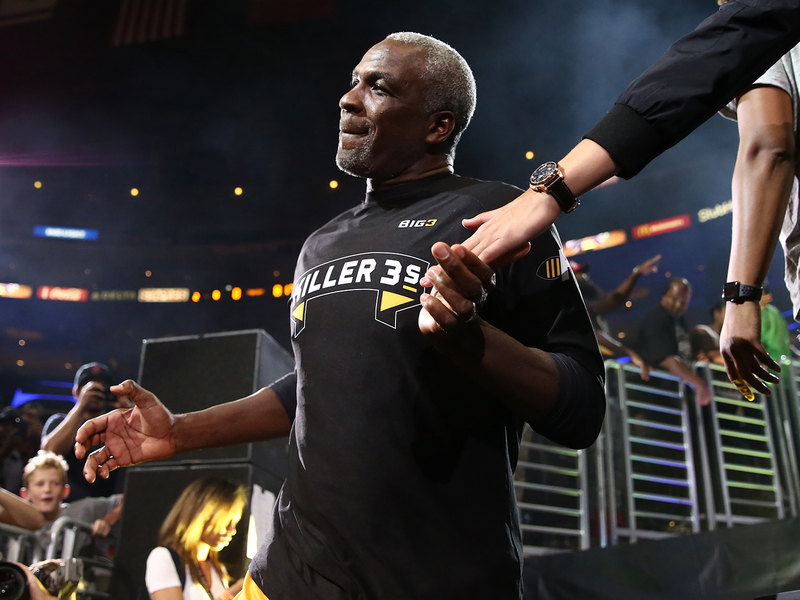 In August, Oakley and Manhattan prosecutors struck a plea deal in which Oakley pledged to stay away from MSG for a year and avoid criminal conduct for six months. If Oakley honors this agreement, a judge has agreed to dismiss the charges. Although Oakley probably had no plans to attend a Knicks game anyway, the fact that he is banned from the arena is nonetheless stigmatizing and suggests he acted wrongly. Oakley can use his civil lawsuit to strike back against MSG and Dolan. The complaint features two sets of claims. The first concerns how MSG employees treated him during the incident. The second focuses on public remarks subsequently made by Dolan and by the Knicks public relations staff. In terms of the incident, Oakley appears far from faultless. He was legally obligated to leave MSG once it was requested that he leave, and Oakley failed to comply. A ticket to an NBA game provides a license to occupy an arena seat. That license is revocable if the ticket holder disturbs the peace. Oakley reportedly used profanities to heckle Dolan, who was sitting nearby. If MSG and Dolan can convince jurors that Oakley behaved in such a disruptive way, they would establish that Oakley disturbed the peace and thus lost his right to remain at the game. Regardless of which account is correct, MSG was obligated to use reasonable methods to compel Oakley to leave MSG. What’s legally “reasonable” in any given situation is not always clear and can lead to disagreement. In this video of the incident, Oakley appears irate as other persons put their hands on him in apparent—and unsuccessful—attempts to constrain or calm him down. At one point Oakley yells, “get off of me!” as another person grabbed his elbows. Oakley is shown yelling and pointing his finger right in front of the face of another man, who Oakley also bumps and pushes away. The complaint offers an interesting twist by raising an ADA claim and accompanying state and municipal disabilities claims. While the complaint insists that Oakley is not an alcoholic, it attempts to hold MSG and Dolan accountable on grounds that they denied him access to the Garden, which is a public facility. The denial, Wigdor asserts, was “based on their perception that he suffers from alcoholism, a disability.” Put another way, because MSG and Dolan allegedly believed that Oakley was an alcoholic, they had no right to discriminate against him on that basis. They could thus not lawfully remove Oakley—who insists that he behaved calmly and posed no threat or disruption—on grounds that they did not want someone who is an alcoholic in the arena. Why would anybody write such a hateful letter. I am just guessing but ill bet your life is a mess and you are a hateful mess. What have you done that anyone would consider positive or nice. I am betting nothing. In fact ill bet you are negative force in everyone who comes in contact with you. You most likely have made your family miserable. Alcoholic maybe. I just celebrated my 21 year anniversary of sobriety. You should try it. MSG and Dolan will offer several defenses. As a starting point, they will assert that MSG employees behaved reasonably under the circumstances. To advance that argument, MSG will describe Oakley as dangerous and as posing a threat to the safety of persons sitting around him. MSG will stress that Oakley shoved other persons and screamed threatening remarks. Likewise, MSG will highlight that it had a duty to protect other ticketholders and in fact could have been sued by those persons if they had been harmed. MSG might also describe Oakley as having impaired judgment due to consumption of alcohol (though Oakley’s complaint insists he was not intoxicated). Further, MSG will maintain that it did not discriminate against Oakley on the basis of an assumption that he is an alcoholic. Rather, MSG will argue, its actions against Oakley were based on the apparent danger he posed to the safety of others who were seated near him and the disruption he caused by allegedly using profanities. MSG and Dolan will also attempt to rebut the defamation claim by arguing that their statements were true and that most of their remarks consisted of opinion statements. In a defamation lawsuit, the plaintiff must show that the defendant’s statements were expressed as factual assertions. The Knicks tweeting Oakley “should get some help soon” and Dolan offering his views on a radio show that Oakley seemed abusive might be viewed as statements of opinion. Then again, as S.L. Price detailed in his wrote 2007 SI piece “Lord Jim”, Dolan has been linked to problems with alcohol and temper, so Wigdor might argue that Dolan’s remarks about Oakley’s alleged problems were based on first-hand insights rather than mere conjecture. Further, MSG and Dolan will emphasize that Oakley is a public figure and thus must prove actual malice in order to prevail in a defamation lawsuit. Actual malice means the defendant intentionally or knowingly defamed the plaintiff. MSG will also stress that Oakley did not appear to suffer any physical injuries. While embarrassment and shame can be recoverable—particularly if they hurt one’s reputation and job prospects—Oakley’s complaint does not mention any physical harm. Instead, the complaint stresses the incident has damaged Oakley’s “personal and professional” reputation. Oakley will need to detail the reputational damage he claims to have endured. Dolan’s style of ownership is different from that of most other owners of sports franchises. While owners usually try to avoid legal and public relations controversies, Dolan doesn’t shy away from them—even when they involve litigating against a former player or a league. Consider three recent cases involving Dolan. Other owners might have been inclined to reach settlements in each of these instances, long before they wound up in court. First, Dolan went to trial against Anucha Brown Sanders and lost. Sanders, a former star basketball player at Northwestern University, served as the Knicks vice president of marketing and operations in the early 2000s. In 2006 she sued MSG, Isiah Thomas and Dolan, arguing that she was subjected to sexual harassment by Thomas, whom Sanders claimed often called her a “h-” and a “b---h.” Sanders further alleged that MSG retaliated against her. The case attracted widespread media attention and sparked unflattering exposes on the Knicks, particularly in regards the treatment of female employees. A jury believed Sanders and awarded her nearly $12 million in punitive damages. There’s reason to believe many NBA owners would have settled this kind of case long before it became public—and no doubt then-NBA commissioner David Stern would have preferred that, too. Second, MSG litigated against former Knick guard Cuttino Mobley. In 2011 Mobley sued MSG, arguing that the Knicks unlawfully pressured him into retiring. MSG won this case, which centered on the team refusing to let Mobley, who suffered from the heart condition hypertrophic cardiomyopathy (the same condition blamed for the deaths of Boston Celtic star Reggie Lewis and Loyola Marymount University star Hank Gathers), play with an implanted heart defibrillator. Mobley asserted that the Knicks were motivated not by his health but by the salary cap benefits of him retiring. A court dismissed the lawsuit, reasoning that the Knicks were within their rights to reject such an arrangement. Third, Dolan’s New York Rangers sued the NHL in 2008 over control of the team's website—the team argued it shouldn't have to publish content about the league and other NHL teams. The lawsuit would settle a year later. The fact that Dolan took on other NHL owners and the league itself is suggestive that he is willing to wage battles in court that other owners would be inclined to avoid. Perhaps these same principles will influence Dolan as he weighs the best strategy going forward in defending against Oakley’s lawsuit. MSG and Dolan will soon answer Oakley’s complaint. They will likely deny every allegation. Then, over the subsequent months, MSG and Dolan will seek to have Oakley’s lawsuit dismissed. If they fail to convince a judge to dismiss the lawsuit, the case will move to pretrial discovery. During discovery, each side will have to share evidence—including potentially unflattering evidence, such as inappropriate remarks made in emails or text messages—and answer questions by opposing counsel while under oath. It could get ugly for all involved. Along those lines, it stands to reason that NBA commissioner Adam Silver will urge Dolan to reach an out-of-court settlement with Oakley. The NBA knows that this case is poised to embarrass everyone involved. The league does not want to see its brand damaged. Then again, as noted above, Silver knows that Dolan certainly isn’t afraid of going to court. If no dismissal happens and no settlement is reached, Oakley v. Dolan and MSG will go trial. A jury would be asked to review video and audio evidence, listen to the many witnesses to the incident and hear from various arena experts about appropriate and inappropriate safety measures during an NBA game. The Crossover will keep you updated on Oakley v. Dolan and MSG.